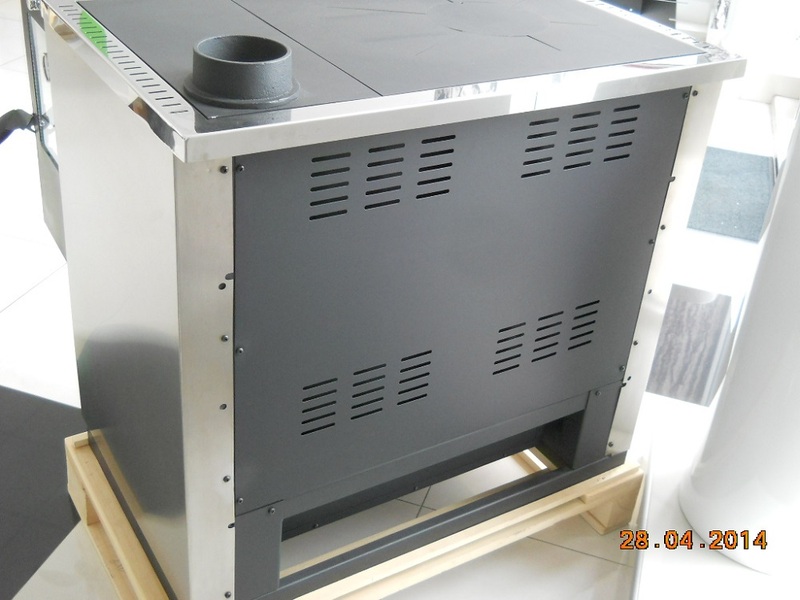 North Wood burning cooker is intended to be used for cooking and baking food and it’s manufactured and tested according to European EN 12815 and UL1482, ULC-S627, American and Canadian standards. If you want to buy more, make another order. 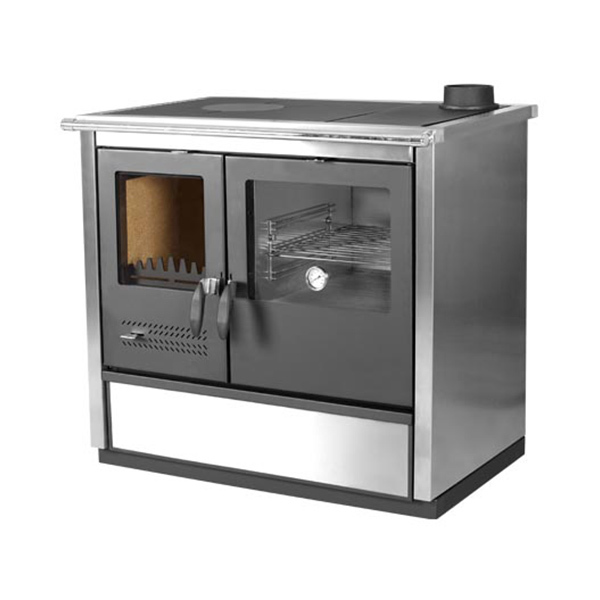 North Wood burning cooker is intended to be used for cooking and baking food and it’s manufactured and tested according to European EN 12815 and UL1482, ULC-S627, American and Canadian standards. The upper plate of the fireplace is made of steal. 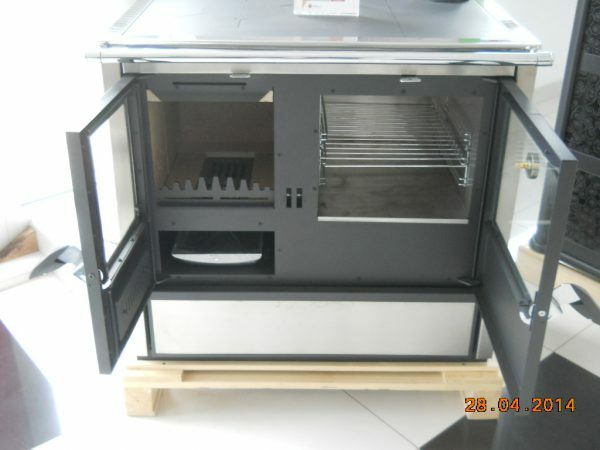 Firebox doors are made of steal with fireproof glass. Connection for smoke drainis being put on the plate and connected with screws. All the materials that NORTH cooker is made can be recycled. 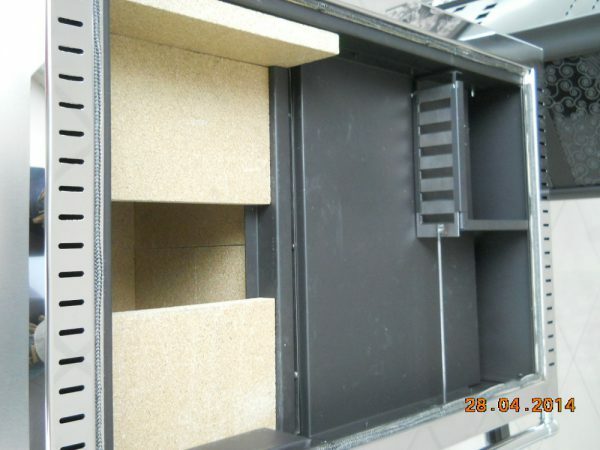 Sealing elements are made of materials that NOT contain asbestos. 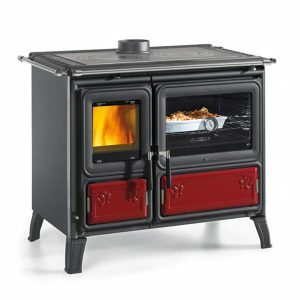 Introducing the convenient and beautiful stainless steel wood burning cook stove,” North”. 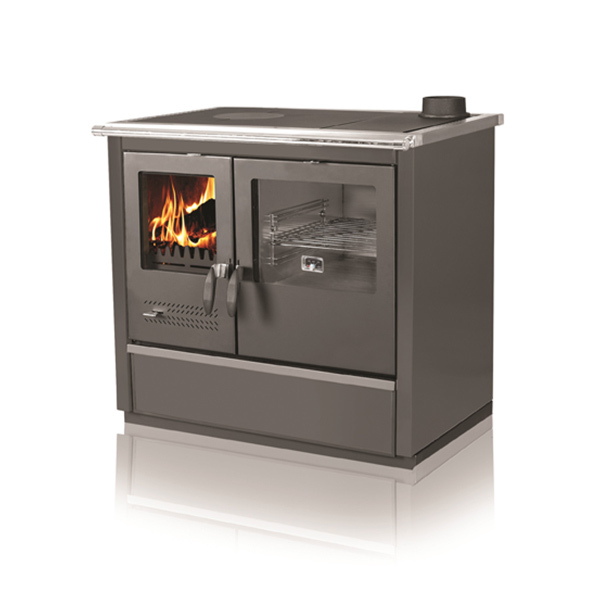 Incorporated modern contemporary design with European style is stove to please everyone. Clearances to combustible materials on back and sides are only 6”. 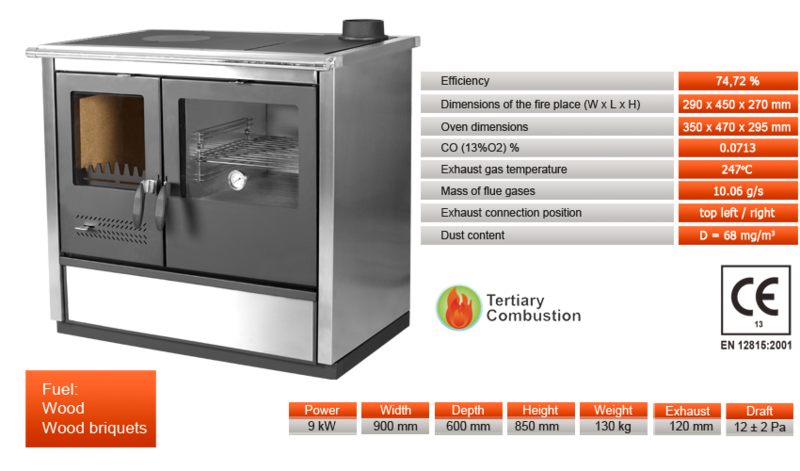 Primary and secondary air intake will provide cleaner burning and gives more output of heat for cooking and baking. Stainless steel and black will incorporate in any room and décor. Firebox is lined with vermiculite bricks for better distribution of heat. 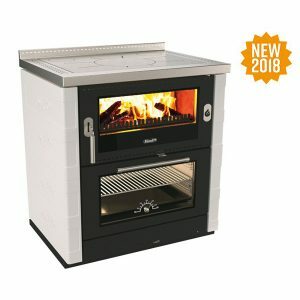 UL 1482 and ULC-S627 certified. 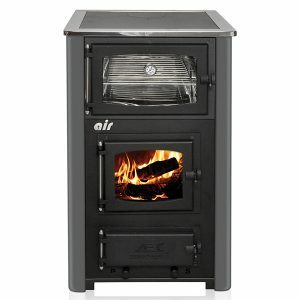 NORTH wood cook stove is an elegant, modern cook stove made of Inox, produced in versions with left, right, upper and back flue exhaust, which enables easier connection with chimney. Handle from the front side above the oven regulates circulation of the warm air around the oven. 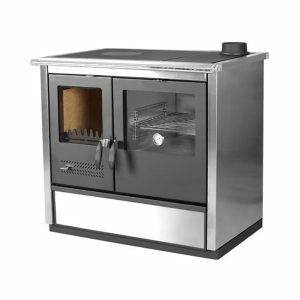 When the handle is closed, drifting of the air towards the chimney and enables intensity and ability of heating. 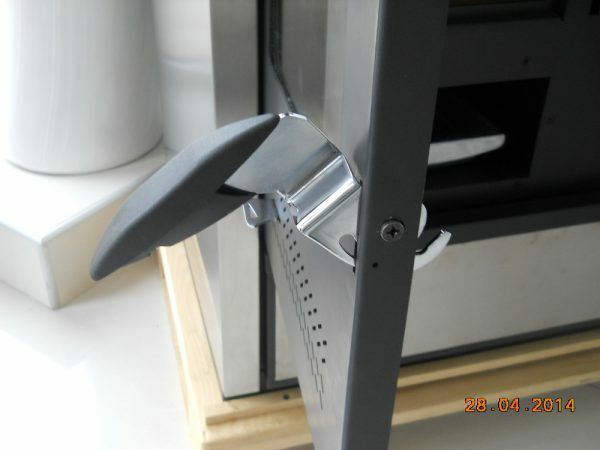 When the handle is opened, warm air does not drift around the oven and that enables stronger cooking function. 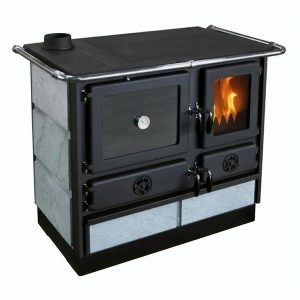 Firebox of the NORTH cook stove is, on the one side, covered with vermiculite as an isolation material and on the side made of grey casting there are ports which enable bringing of the tertiary air into the firebox which improves quality of combustion process and flue gases.